According to a recent nationwide survey conducted by Professional Photographers of America 67% of respondents store photos solely on their computer or phone. However just in 2014 there were 4.5 million lost or stolen phones and only 33% from survey say they regularly backup their phone data). And even with backing up you run into online storage issues including costly subscriptions, hardware or wifi access. Once you've made the decision to have a portrait created now you need to decide what to do with it. Of course you'll want to get some gift prints made to give to family and friends, maybe a desktop image for your office. But what should you do with your larger portraiture? 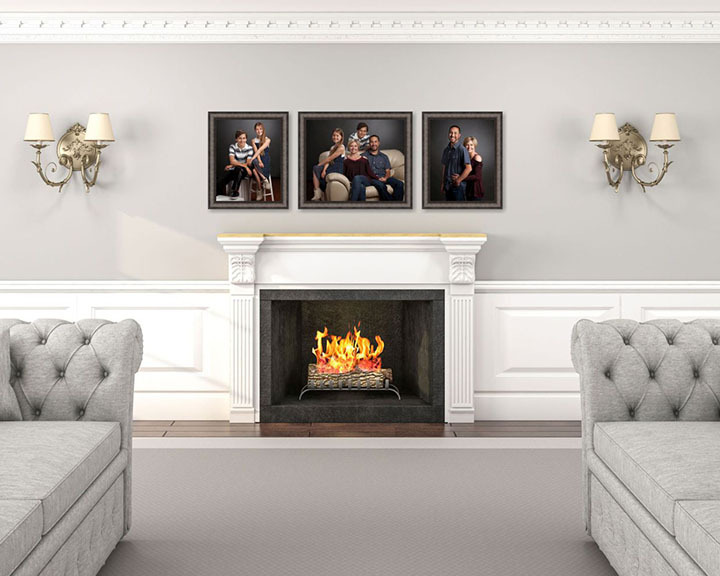 Most people would decorate their home or office with pieces of art, but what better art is there than portraits of your own family? What To Do With Your Art? Before you schedule your portrait session you need to connect with us for a no cost portrait consultation. We will discuss your vision for your final artwork. What size should it be? Framed, unframed contemporary metal? or Canvas? Where will ithang? These are just a few questions you will need to resolve before the session.